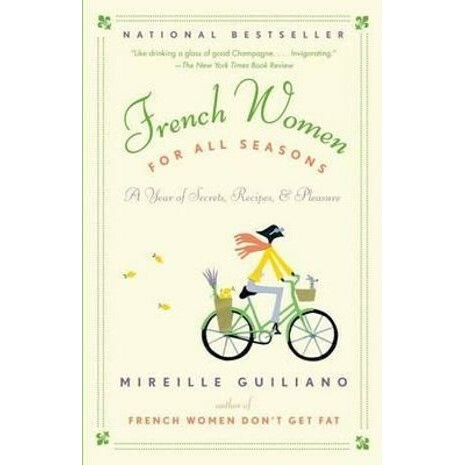 From the author of "French Women Don't Get Fat," the #1 National Bestseller, comes an essential guide to the art of joyful living--in moderation, in season, and, above all, with pleasure. Together with a bounty of new dining ideas and menus, Mireille Guiliano offers us fresh, cunning tips on style, grooming, and entertaining. Here are four seasons' worth of strategies for shopping, cooking, and exercising, as well as some pointers for looking effortlessly chic. Taking us from her childhood in Alsace-Lorraine to her summers in Provence and her busy life in New York and Paris, this wise and witty book shows how anyone anywhere can develop a healthy, holistic lifestyle.